Signs of Spring Update: Almost Finished! Trout Lily was discovered blooming at Ashland on March 30, a full two weeks earlier than in 2011. Image by Derek Stoner. 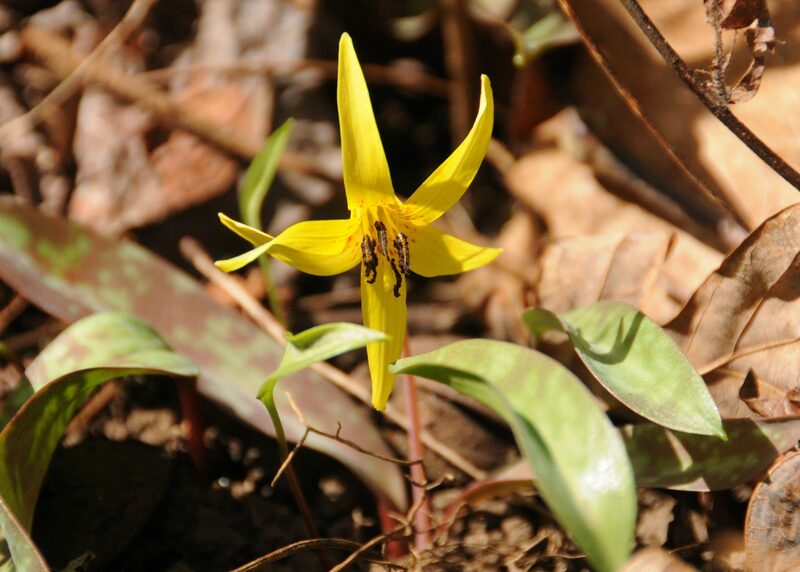 For this Signs of Spring update, we go back to March 30 when Joe Sebastiani reported the first Trout Lily of the year blooming along the floodplain at Ashland. Also that same day, multiple observers reported the first Violets of spring in bloom at Ashland. The following week, on April 6, Kim Steininger observed our first House Wren of the season at Ashland, as she was walking up Hawk Watch Hill. And just yesterday, April 10, Joe Sebastiani saw the first Barn Swallows of the spring at Ashland. So, as of April 10, 19 out of 20 Official Signs of spring have been recorded at Ashland in 2012. The lone holdout? A Water Snake! Last year’s first Water Snake was reported on April 20. Will we beat that record this year? What Signs of Spring are you seeing in your neighborhood?